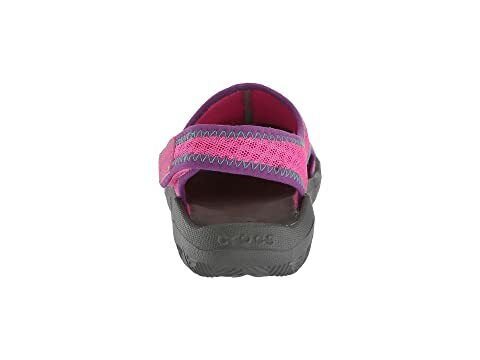 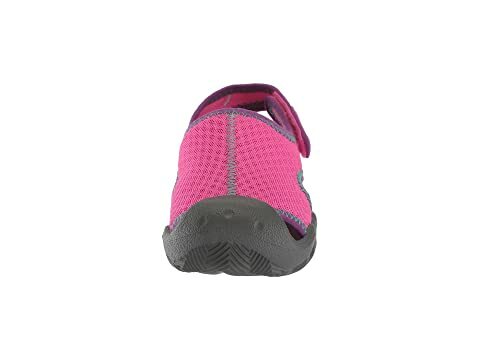 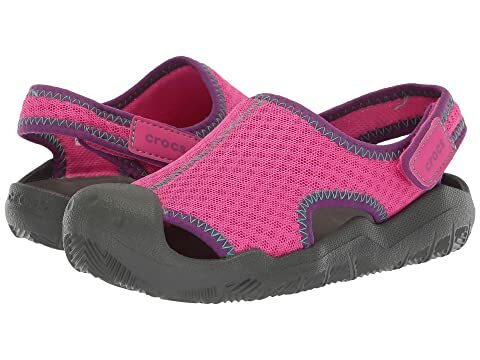 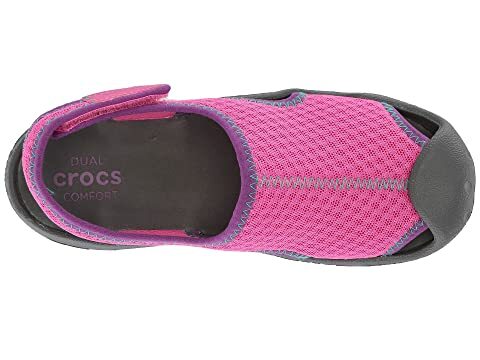 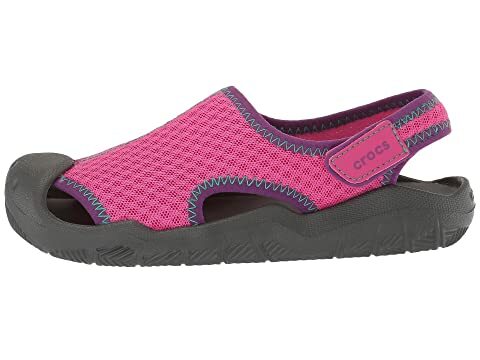 Splash pad fun just got more playful in the Swiftwater Sandal from Crocs® Kids! 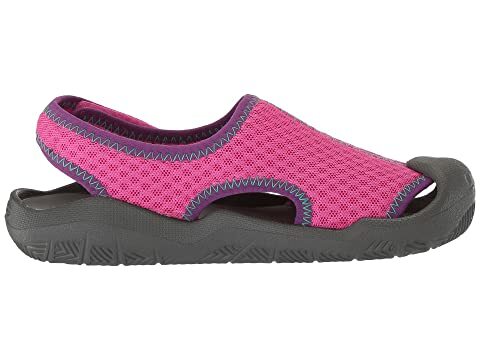 Raised toe bumper keeps their feet safe. 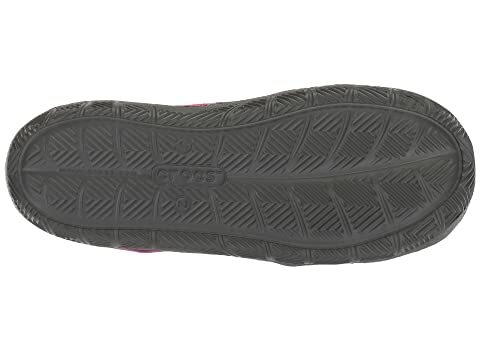 Siped outsole channels water away to improve traction.